Hamilton May is pleased to present a new apartment with a balcony in the newly created VERMELO investment. Hamilton May is pleased to present 37m2 apartment with 1 bedroom in brand new investment located in green and calm area next to Park Lotnika. Hamilton May would like to present, modern 1 bedroom apartment, located in the new investment. Hamilton May presents a modern, brand new apartment located nearby Galeria Krakowska, very close to the main train station. Hamilton May presents a one bedroom apartment finished to the highest standard. The property is located in the Kaskada Apartments residential complex, nearby 'Rondo Business Park' office center. Hamilton May is pleased to present a stylishly and comfortably furnished two-bedroom apartment, with two large balconies in a new complex located on Dąbska street. Hamilton May offers a modernly arranged apartment available for rent on Włodkowica street. Hamilton May is pleased to present a house sitting on a 10-are plot, available for rent in a quiet and green part of Wola Justowska. Hamilton May is pleased to present a spacious two bedroom apartment with a balcony in the prestigious investment of two townhouses. Hamilton May offers a 4-bedroom apartment available for rent - the property belongs to the Mozarta Settlement in Kraków. This office complex comprising four 14-storey A-class office buildings has been developed by Buma Group since fall of 2008. Its design was created by a Warsaw-based architectural office - Kuryłowicz & Associates. The investment comprises four office buildings, one-level underground garage, courtyard with a cafeteria, benches, fountain, greenery, as well as an independent parking featuring 7 overground levels and one located underground. Thanks to its impressive office space of 48 096 m2, the complex is ideal for large enterprises and international corporations. The complex is situated in the Prądnik Czerwony district, by Bora-Komorowskiego Avenue. It can be conveniently reached by a private car, as well as the means of public transportation. 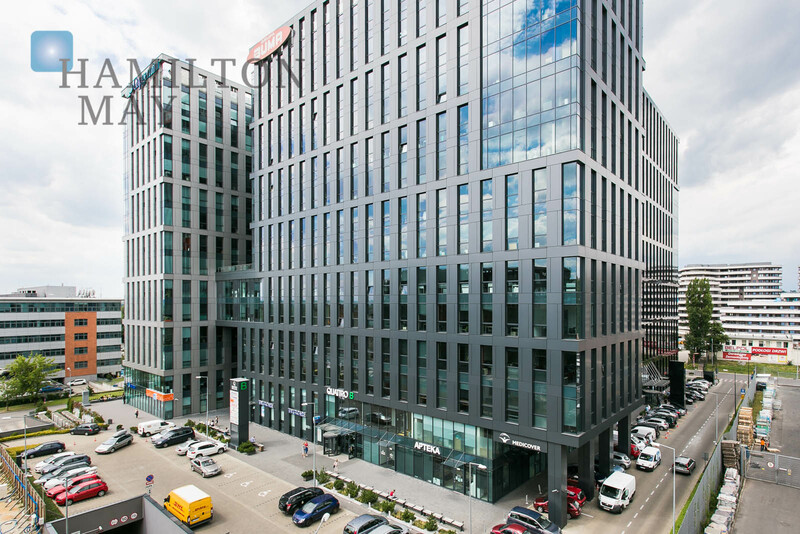 Hamilton May regularly receives inquiries from various individuals and entire families moving to Kraków, searching for apartments available for rent in the vicinity of Quattro Busieness Park. Our Agency provides a wide choice of meticulously selected properties, which meet the typical criteria; floorspace of at least 80m2 and property's layout featuring two or more rooms. Such properties usually come with a garage or a parking spot, that are so sought after by a vast majority of tenants.